Prayer is a powerful weapon, but the wall-builders in Jerusalem also were careful to set a watch against their enemies “with their swords, their spears, and their bows” (Nehemiah 4:13). They were ready to fight if necessary, but at the same time they were confident that “our God shall fight for us” (Nehemiah 4:20). This is a sound biblical principle. God expects us to make appropriate use of whatever physical means are available for a needed ministry rather than to rely simply on prayer and divine miracle. The Lord rebuked those who came asking Him to perform a miracle merely to test Him or to see something curious. “Except ye see signs and wonders, ye will not believe” (John 4:48). Neither does He condone prayer in lieu of work, for “faith, if it hath not works, is dead, being alone” (James 2:17). The same holds for prayer in lieu of obedience. As Joshua was praying for deliverance from the enemy, “the LORD said unto Joshua, Get thee up; wherefore liest thou thus upon thy face? Israel hath sinned, and they have also transgressed my covenant which I commanded them” (Joshua 7:10-11). But as prayer without working is dead, so watching and working without prayer are futile. “Ye lust, and have not: ye kill, and desire to have, and cannot obtain: ye fight and war, yet ye have not, because ye ask not” (James 4:2). “Except the LORD build the house, they labour in vain that build it: except the LORD keep the city, the watchman waketh but in vain” (Psalm 127:1). 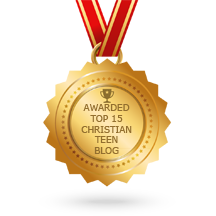 This entry was posted in A CLICK A BLESSING TODAY, CHRISTIAN NUGGETS and tagged Watch and Pray. Bookmark the permalink.